2. Peach: Peel, pit and coarsely chop 2 small peaches; toss with 1 tablespoon sugar. Divide mixture among 8 plastic shot glasses. 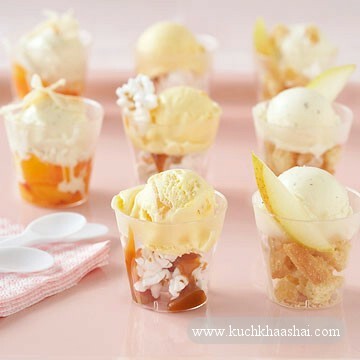 Top with scoops of vanilla ice cream and toasted coconut chips*. 3. Popcorn: Divide 1/2 cup popped popcorn among 8 plastic shot glasses. Drizzle with 2 tablespoons purchased caramel ice cream topping. 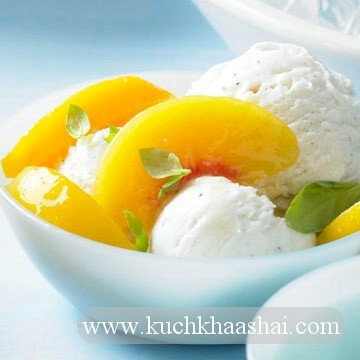 Top with peach or mango ice cream and additional popcorn. 4. Pear Ginger: Divide 3/4 cup coarsely crushed sugar cookies among 8 plastic shot glasses. Sprinkle with 2 tablespoons finely chopped crystallized ginger. Top with vanilla ice cream and slivers of fresh pear. 1. Line a 2-quart square baking dish with foil, extending foil over edges of dish. In a medium bowl stir together the butter and biscotti crumbs. Spread evenly in the prepared baking dish. Press firmly to form an even crust. Place in the freezer. 2. In a chilled bowl stir ice cream to soften. In another bowl stir mascarpone cheese to soften. Slowly add the softened vanilla ice cream to the mascarpone, stirring well after each addition (mixture may look slightly lumpy). Spoon into crust-lined dish and spread evenly with the back of a large spoon. Freeze about 1 hour or until firm. Spoon sorbet on top of the vanilla ice cream and spread evenly with the back of a large spoon. Cover and freeze 4 hours or until firm. 3. 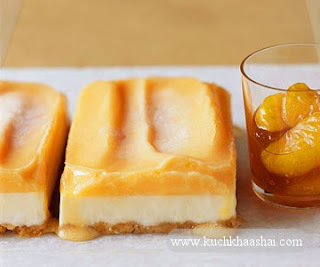 Let frozen mixture stand at room temperature for 10 minutes. Lift from pan using foil. In a small saucepan cook and stir marmalade just until heated through. Stir in citrus sections. 4. To serve, cut ice cream mixture into 9 squares. Top each square with some of the citrus mixture. Makes 9 servings. 1. In saucepan combine sugar, cornstarch and salt; stir in water and lemon juice and mix well. Add blueberries. 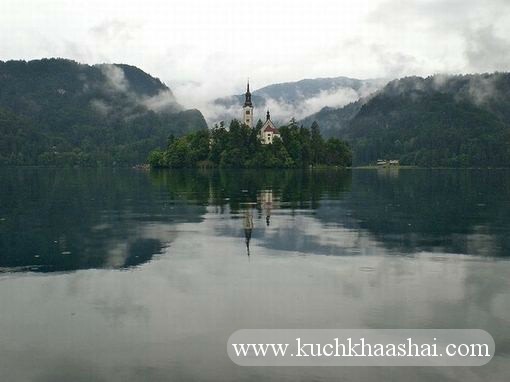 Cook over medium heat, stirring often, until mixture is slightly thickened and bubbly. Cook and stir 2 minutes more. 2. Transfer to bowl; cool. Serve at room temperature. Or cover and refrigerate 1 hour or up to 2 days. If chilled, let stand at room temperature 30 minutes before serving. Makes 3 cups. 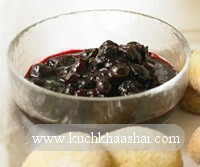 In a small saucepan, bring wine, honey, and peaches to boiling; reduce heat. Simmer, uncovered, until fruit is softened and mixture slightly thickened, about 10 minutes. Swirl in butter; remove from heat. Add lemon juice and zest, brandy, Cointreau, and mint. Serve with ice cream and/or shortbread. Makes 4 servings. 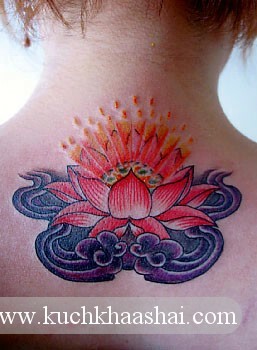 A lotus flower tattoo is one of the most popular flower tattoos, may be second only to the rose. It is essential to know more about the flower to understand the meanings associated with it. The lotus is one of the most important flowers in the East or the Asian countries because of its religious symbolism. 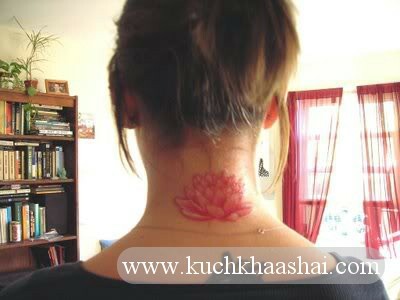 We find references of the lotus in Hinduism as well as Buddhism. 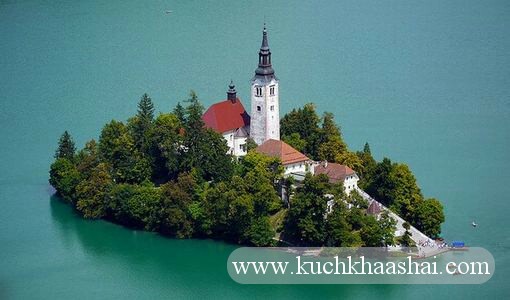 It is believed that Brahma, one of the supreme Gods in Hinduism was born out of a lotus blossom. The lotus in Buddhism represents the Buddha's nature. Similarly, according to the ancient Egyptian culture, the lotus was the first flower in the universe and hence, depictions of the lotus are found in several monuments. 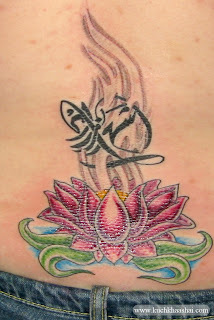 Therefore, those following Asian religions have a lotus flower tattoo engraved on their body. Secondly, one of the other significant lotus tattoo meaning is that as the flower is found in mud, it represents rise from hardships and struggle. 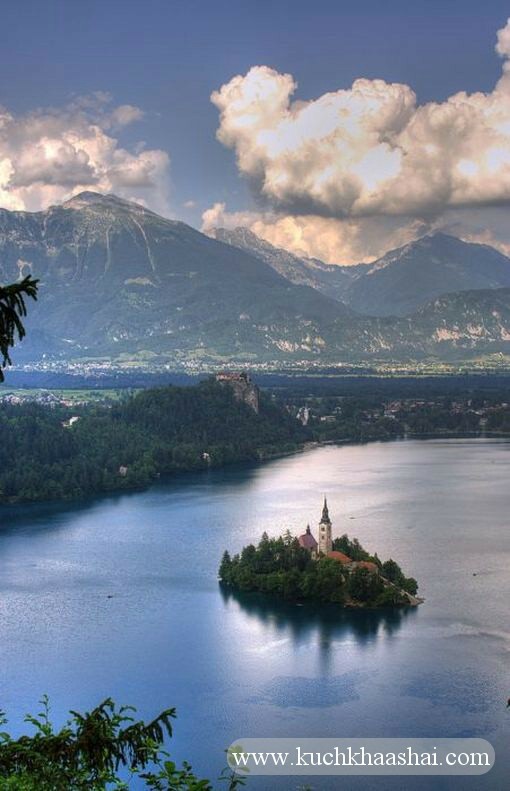 It means awakening to reality or transformation to beauty. 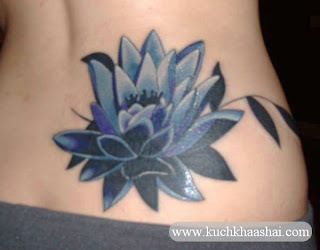 The lotus flower is one of the powerful symbols of rebirth in the East and West. It also stands for beauty and strength. 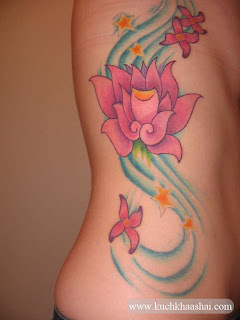 The lotus is found in different colors like red, pink, blue, etc. and each has a meaning of its own. 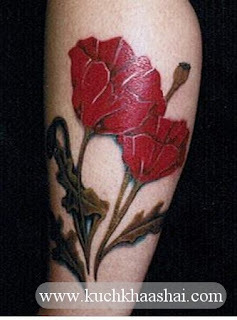 When talking about the red lotus tattoo meaning, note that it stands for love, passion and symbolizes the heart. As we see, red lotus meanings are very much similar to those of a red rose. On the other hand, if you are wondering what is the blue lotus tattoo meaning, then this flower tattoo represents wisdom, intellect and knowledge. # Similar to other flower tattoos, the lotus flower represents beauty, gracefulness, etc. 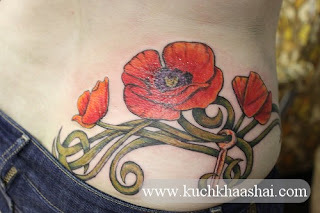 # People who have experienced a significant change in the course of life usually go for the lotus tattoos as it stands for drastic life change. # The lotus flower tattoo is also a symbol to remind people that beauty comes from within and natural beauty is simply incomparable. 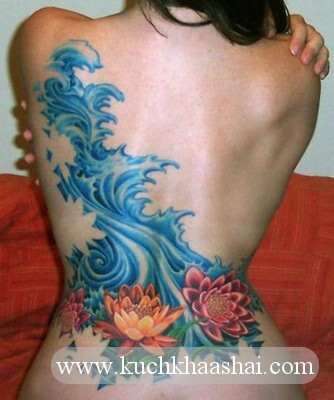 # Koi fish and lotus tattoos are also popular Japanese tattoos. Koi and lotus tattoo mean that as the koi fish always swims upstream and as the lotus flower always grow upward towards the light, one should always be optimistic and persevere to gain success! 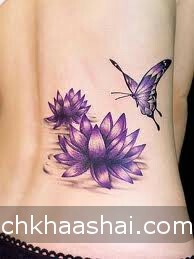 # Lastly, the lotus flower tattoo also stands for the quality of moving on above the depth and hence, represents individuality. 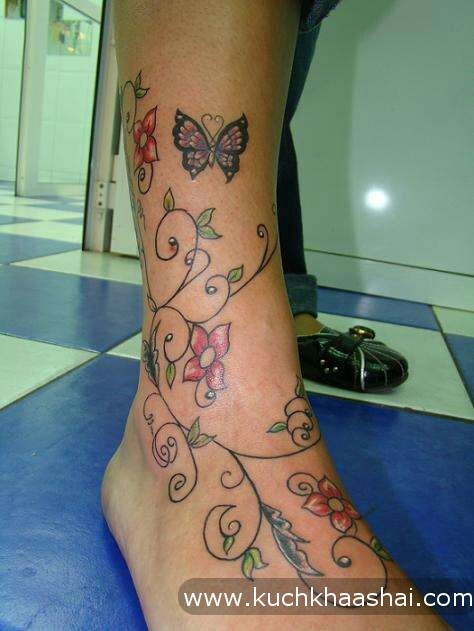 The art of tattooing has been prevalent since time immemorial and it has now reached mainstream society. Using the body as a canvas for showcasing personal beliefs has led people to seek out tattoos with meaning behind them. In the past tribes used tattoos to mark warriors or fellow tribesmen. Tattoos are also used to pledge loyalties to certain belief systems or school of thoughts. In modern days tattoos are infamously associated with gang affiliations and the FBI maintains a database of gang related tattoo designs. On a lighter note rock stars and film stars have taken this art form to the general masses as the population tries to emulate their icons. The popularity of tattoos can be vindicated by the popularity of TV shows about tattoo artists like 'LA Ink' and 'Miami Ink'. One of the interesting things about tattoo meanings is that it changes according to color, culture, and design of the tattoo. 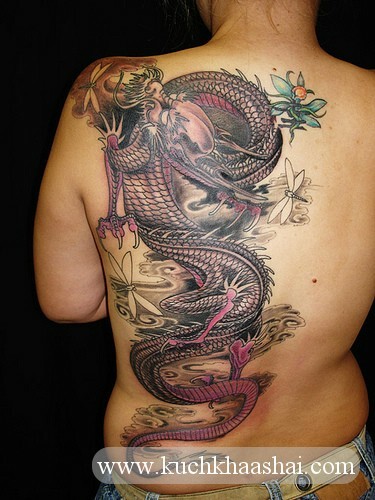 An example of this is the dragon tattoo, in eastern culture a dragon symbolizes wisdom, prosperity and in the western culture it represents evil and violence. 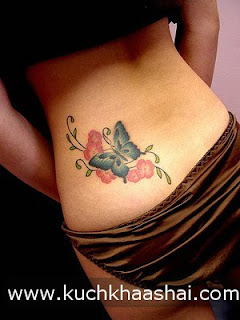 Here is a brief look at some of the interesting tattoo designs and their meanings. The wolf tattoo meanings change according to the culture. In Native American culture the wolf was considered as a symbol of loyalty, courage and strength. The Romans also revered the wolf and considered it as a sign of power and the Greeks also considered it sacred. However in the Celtic and Chinese culture the wolf is looked down up on and considered to be a bad omen. There are different dove tattoo meanings and the most famous is that it symbolizes peace. Depicting two doves together is symbolic of two peoples feelings for each other. A dove tattoo with a palm branch is considered as a new chance at life. This is one of the tattoos with history behind them and has been extensively used by people who propagate harmony and peace. 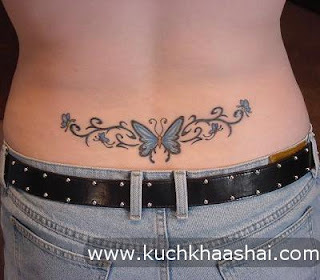 If you looking for star tattoo meanings, the nautical star tattoo represents the will to create your own way of life. You could also get a nine point star known as the Nonogram which represents stability. For those with a streak of the dark side can get a pentagram star pointing downwards to portray devil worship. This is one of the tattoos with meaning for girls, because of the feminine design. 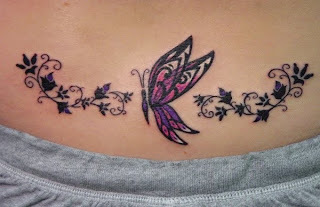 The butterfly tattoos meaning vary from independence to symbolizing beauty and grace. 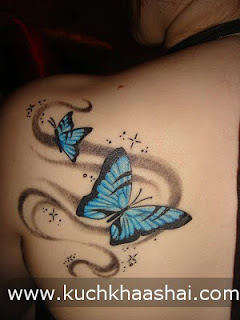 In Greek mythology a butterfly depicts the journey of a soul. 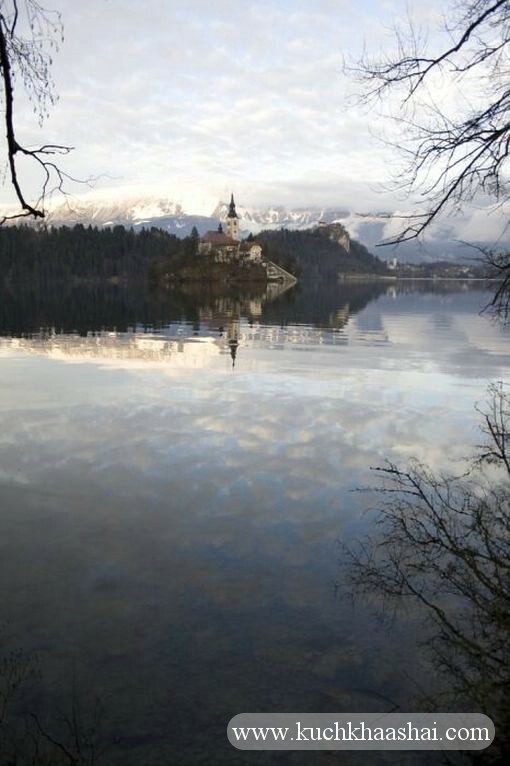 The frailty of the creature can also be translated into the delicate nature of our existence. This is one of the tattoos with meaning of love, the claddagh tattoo design is a heart held by two hands and a crown on top. It is said to be design of the ring made by young man for his true love when he was taken as a slave. The claddagh tattoo represents enduring love and devotion, it also symbolizes undying commitment and the spirit of friendship. The tattoo design can also be seen without the crown but the claddagh tattoo meaning doesn't change with or without the crown, it still represents true love. There are several flower tattoo design and the flower tattoo meanings change according to the flower. 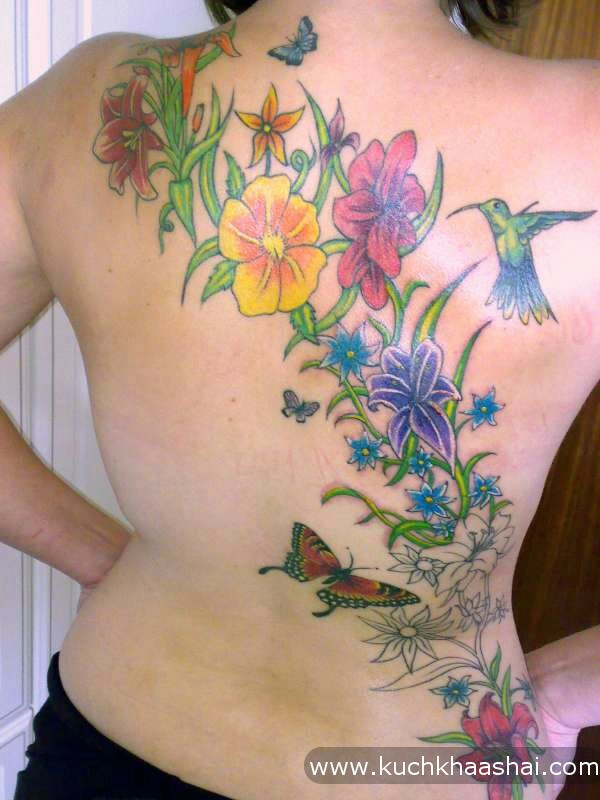 Here are some of the different flowers used in tattoos and their meanings. Some of the other tattoos with meaning behind them are red Koi fish tattoos which symbolize strength, and Zodiac tattoos where in each sign has a specific meaning and characteristics assigned to it. People also use different tattoo lettering styles to write words or phrases that have a deep personal meaning attached with the letters to get a meaningful tattoo. When we think of poppy, the first thing we all think about is Morpheus, the Greek god of dreams, from whom the name of the drug Morphine has been derived from. Morphine is made from poppy seeds. 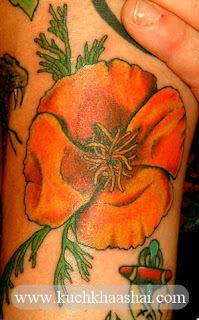 The poppy flower is the emblem of the Greek goddess, Demeter, which is a bright red flower depicted along with barley. She is believed to be Zeus's elder sister, which may explain why the poppy was Zeus's favorite flower. The poppy flower has since time immemorial signified eternal sleep or death, the sleep is eternal because of the opiate that the poppy plant yields. The correlation of death with poppy, is because of its spectacular shade of red and the color of blood. #The Egyptians used this flower as a part of their funeral and burial ceremonies. 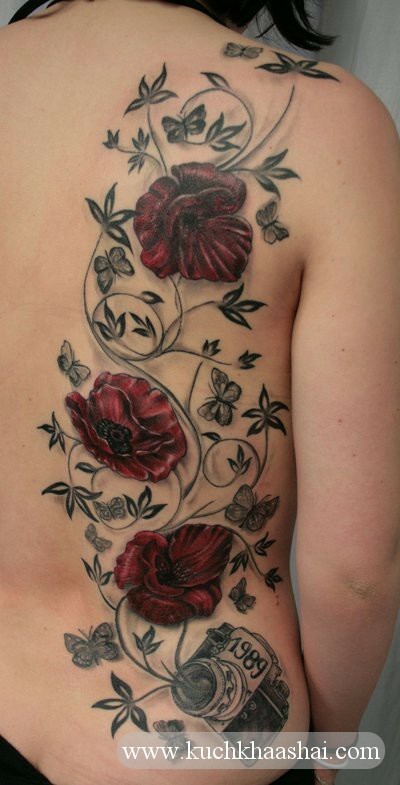 #For the Romans the poppy flower symbolized everlasting beauty, fertility, supernatural powers and wealth. #While in classic mythology the poppy represents resurrection after death. In USA, UK, Australia and New Zealand plastic poppy flowers are worn in honor of veterans who died in the Flanders Fields during World War I. #The poppy flower represents loyalty between lovers in Chinese mythology. 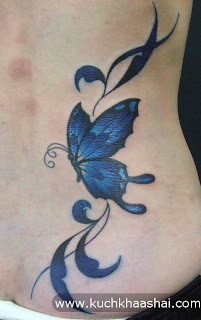 The foremost butterfly tattoo symbolism is beauty and grace. The beautiful colors and patterns on the wings of the butterflies are undeniably beautiful. 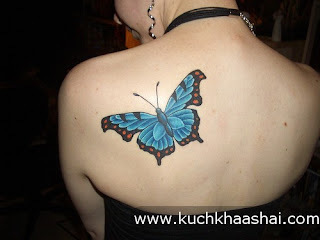 It is for this very reason that the butterfly tattoo is popular among women. Secondly, as the butterfly starts its life as a caterpillar and goes through a lot of changes after being a butterfly, it becomes a symbol of change and metamorphosis. Therefore, if you have experienced some sort of change in your life at anytime, the butterfly is the best for you. 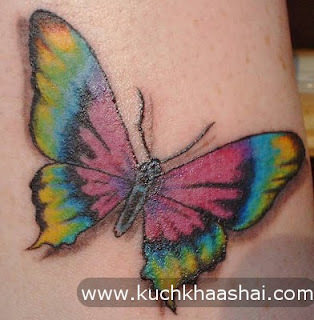 Freedom is yet another butterfly tattoos meaning. Many people believe that as the butterfly freely soars in the sky, it signifies freedom and independence. As a butterfly itself is very delicate, it also symbolizes fragility of life and impermanence. Similarly, as the butterfly goes from flower to flower for collecting food, it also becomes a symbol of instability on earth. The meaning and symbolism of butterfly tattoo designs is also related to spirituality and psyche. According to the Greek culture, a butterfly symbolizes the journey of a soul. 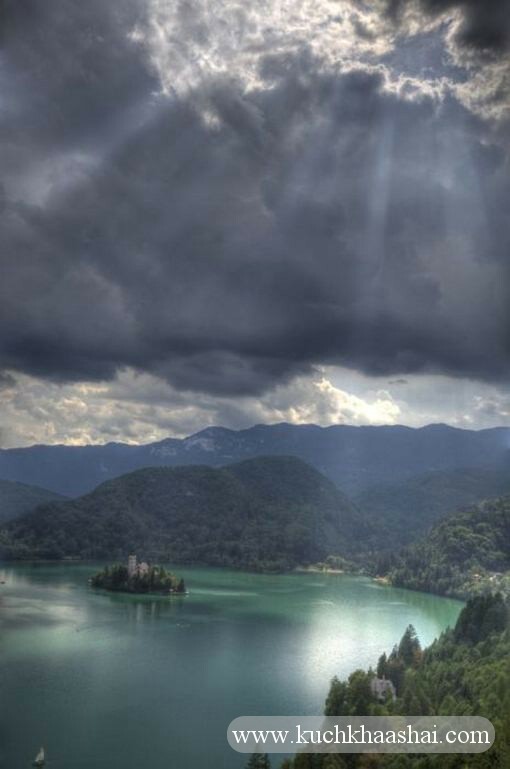 The soul takes birth, travels through the journey of life, dies and is reborn. 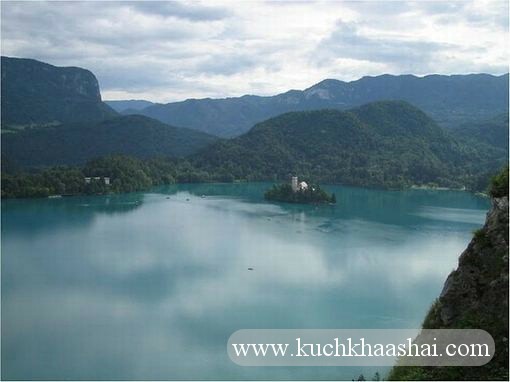 It was even believed that the butterfly takes the human soul from earth to the heaven. Thus, every butterfly around, carries a human soul with it. In ancient times, it was even believed that the butterfly had magical powers as it transformed from a caterpillar to a beautiful butterfly. 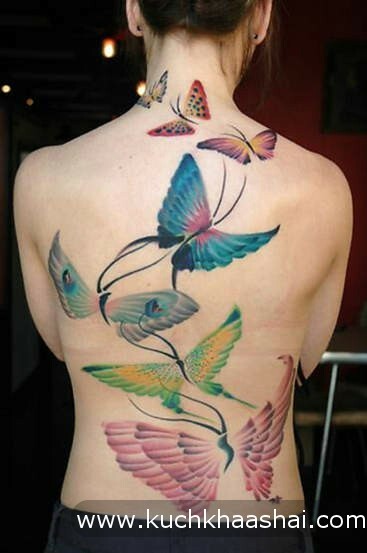 The butterfly is also a symbol of free spirit.